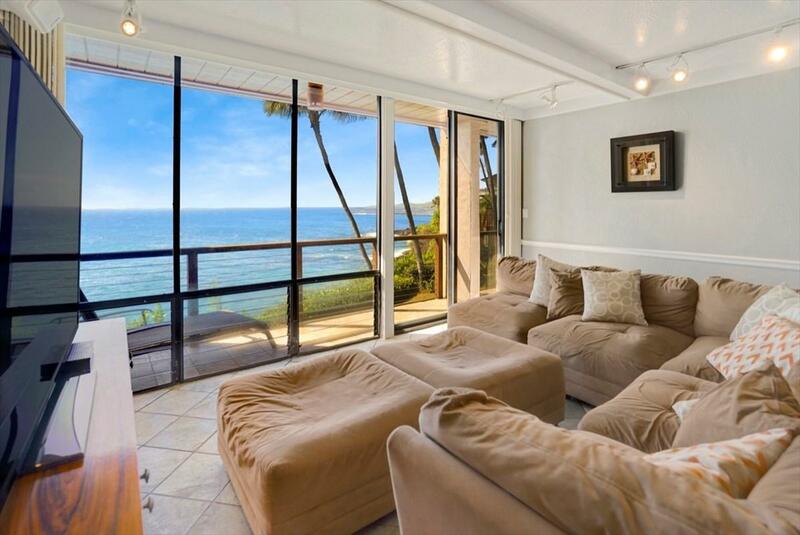 The views of the Pacific Ocean and shoreline of Poipu will mesmerize you from this sweet and peaceful condo in Poipu! 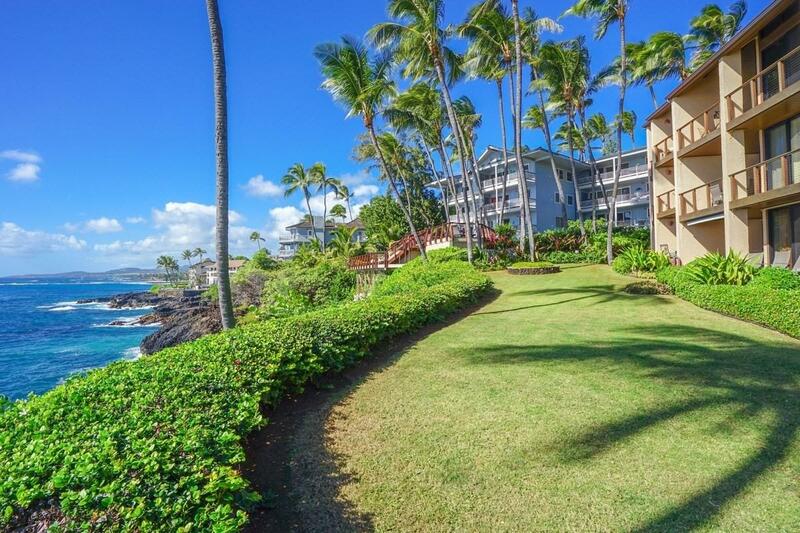 The Poipu Makai Condominiums are Exclusive, with only 15 units in the association. The unit is a successful, highly active and fully booked vacation rental with loyal guests that come year after year for the ambiance of Poipu. The 2 bedroom/2 bathroom unit comes fully furnished and turn-key to provide all the needs for you and your guests. 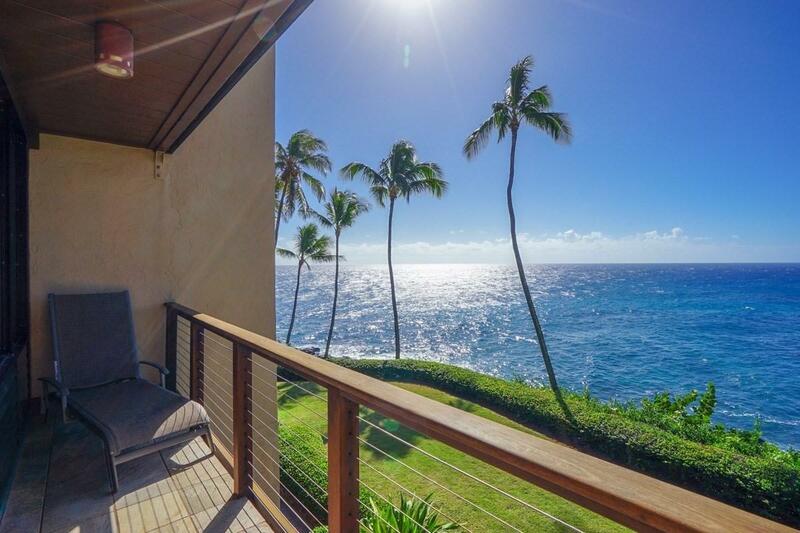 Being on the second floor will give you more privacy during your Kauai getaway and the location of the unit provides you the best views in the project. 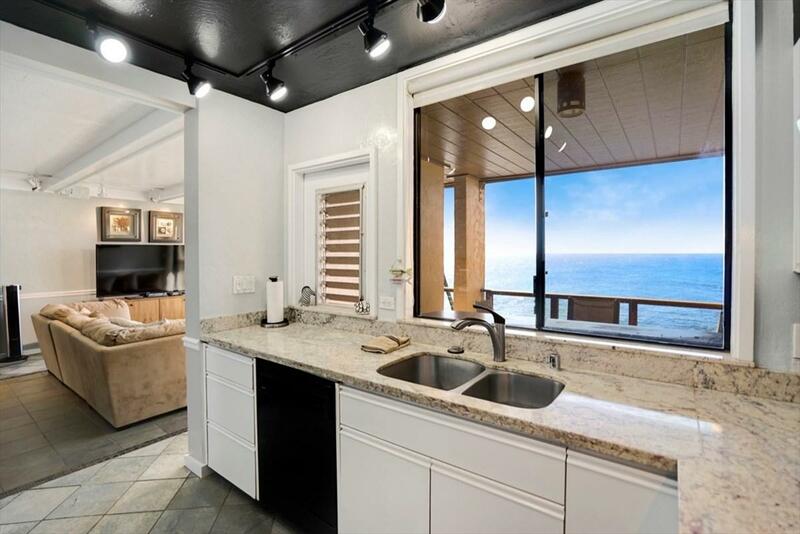 From your living room and large lanai, you will see breaching whales, sea turtles, spinning dolphins, and breathtaking sunsets down the coastline. Poipu Beach Park is within walking distance and world famous golf courses, restaurants and shopping are all within a 5 minute drive. Poipu and its amazing beaches are centrally located on the island of Kauai, being less than an hour from Kauai's famous Waimea Canyon and Hanalei Bay. * Fresh paint throughout the unit * Newly cleaned and resealed slate flooring and bathroom tiles* Granite counter tops* Double pane windows and sliders* Blinds in each room for privacy and to darken rooms* Washer/Dryer* Spacious lanai off living room* Dipping pool and BBQ area * Covered parking* Large reserves within the HOA* Association dues will increase to $1758 in January 2019. ** New onsite sewage treatment plant in 2015 (Wastewater)Come see Unit B-2 at Poipu Makai today! You will love having this condo as your home away from home!